Rent Fort Collins Country Club | Corporate Events | Wedding Locations, Event Spaces and Party Venues. With the majestic Rocky Mountains as your backdrop, the Fort Collins Country Club is a premier Fort Collins wedding destination site that offers you a private and pristine location and impressive views for your special wedding day. Our Clubhouse offers the finest views, dining and atmosphere in Northern Colorado for lunch, dinner and brunch. Reservations are taken for members in the Main Dining Room which seats 60. The Grill Room and Gazebo provide great outdoor and seasonal dining opportunities with patio and sports bar atmosphere. Our professional culinary team is second to none in the Rocky Mountain region. With stunning views of the Rocky Mountains and Long's Pond, our Grand Ballroom is the ideal setting for your wedding reception for up to 225 guests. The Fort Collins Country Club is a full-service wedding destination, and our wedding coordinator will help you plan every detail of your wedding reception. Our Executive Chef and his team of culinary experts will create your ideal menu. From the initial inquiry until your wedding day, you will enjoy a level of service from our dedicated staff that is unsurpassed. Our Gazebo is surrounded by beautiful flower beds and the golf course, with a spectacular view of the Rocky Mountains. It can seat up to 200 guests. 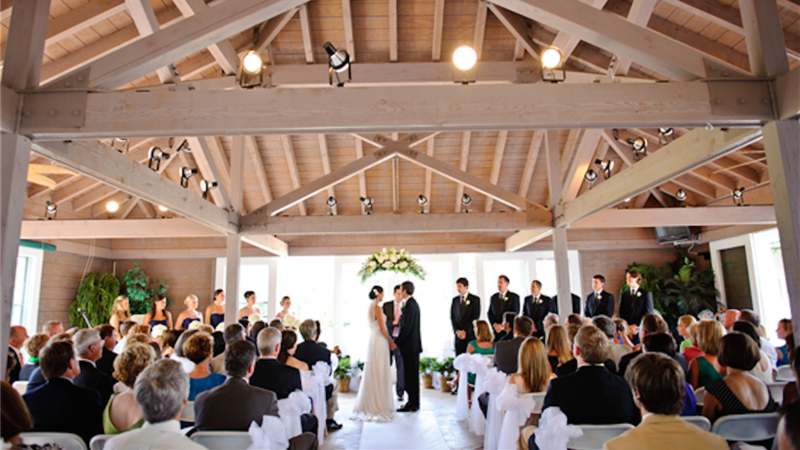 The Ballroom is also available for smaller ceremonies. You can entrust us with your special day. We have an experienced on-site wedding coordinator who will help you plan every detail. The Fort Collins Country Club will only host one wedding per day, so your wedding will be the center of attention!